Where would we be without American farmers? This piece is a tribute to those who work the land and take care of the critters in their care. 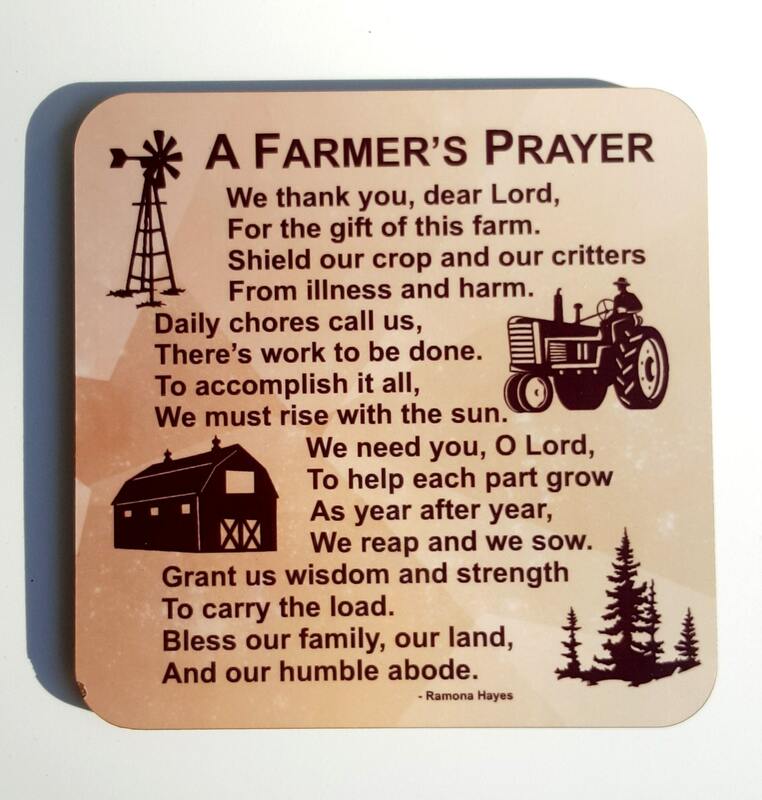 Farmers get up before dawn, work all day and often without a word of thanks. 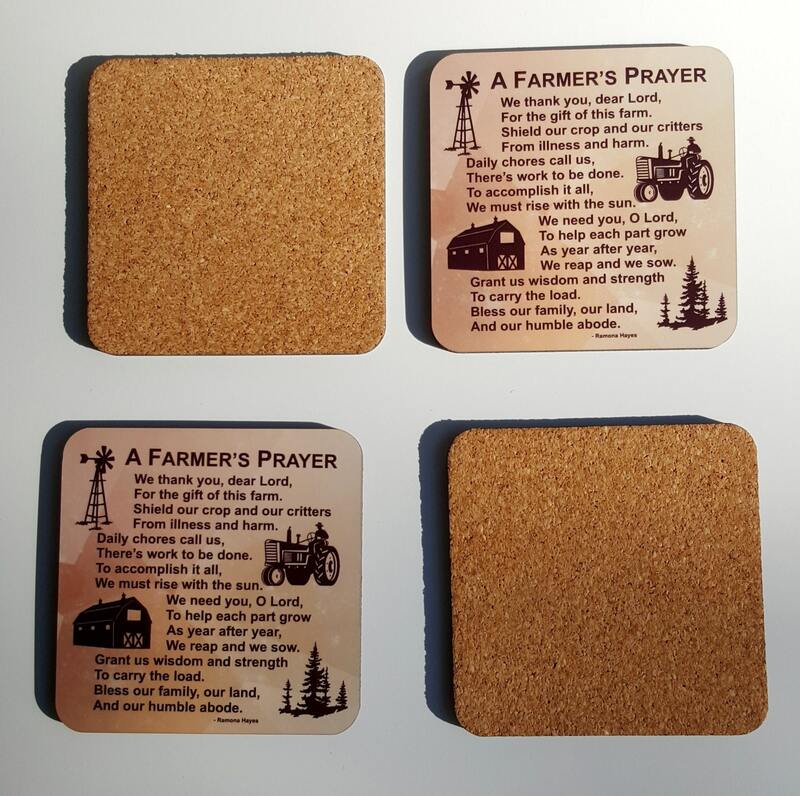 These beautiful coasters come in a set of four and are chip, scratch and fade resistant. 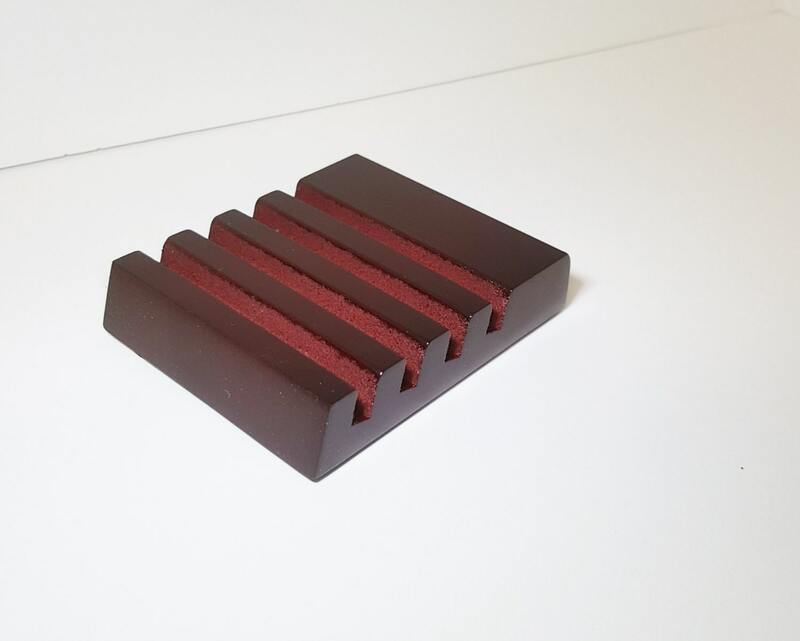 They have a cork backing to protect your fine furniture too. 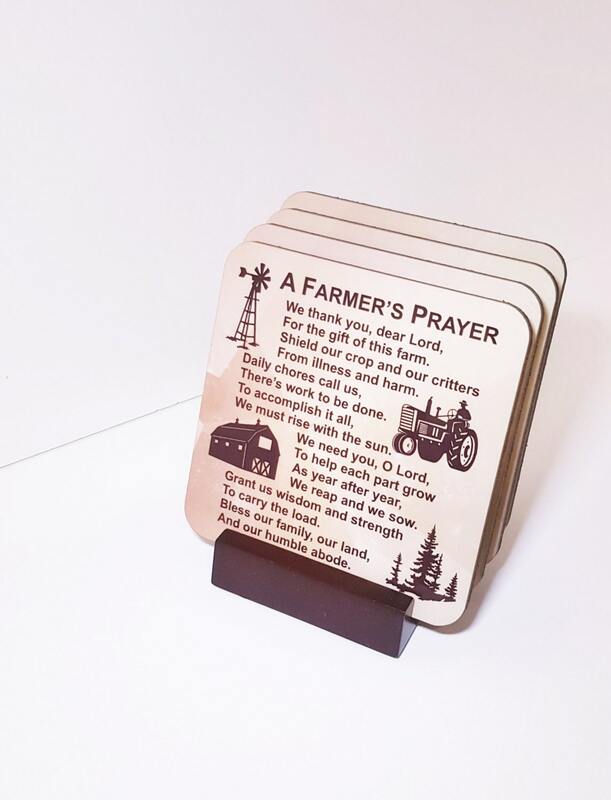 Each coaster measures 3.75" square. 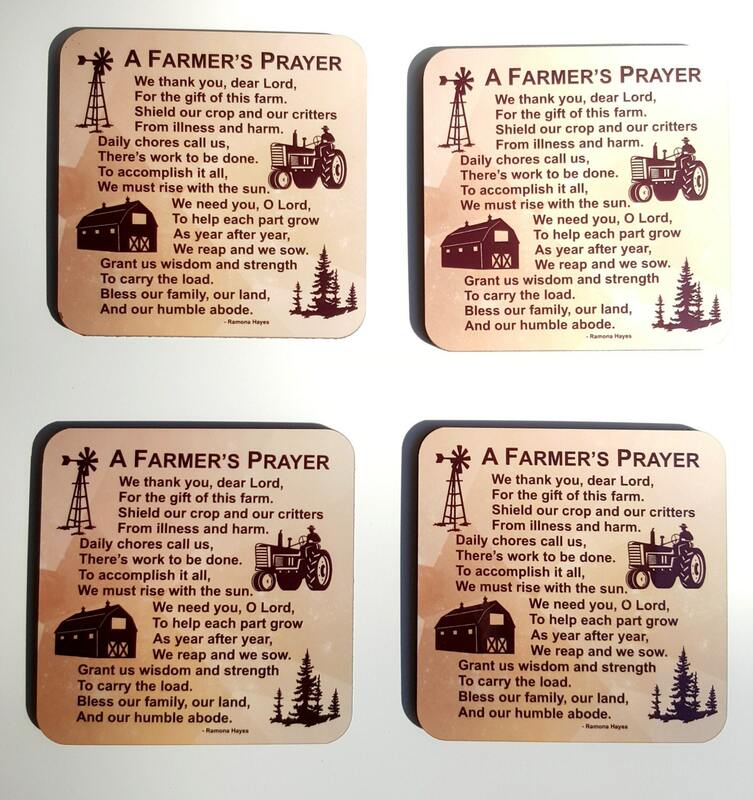 Please note, if you need a set larger than a set of four, additional coasters may be ordered at $6 each. Please send us a convo to create a custom set.